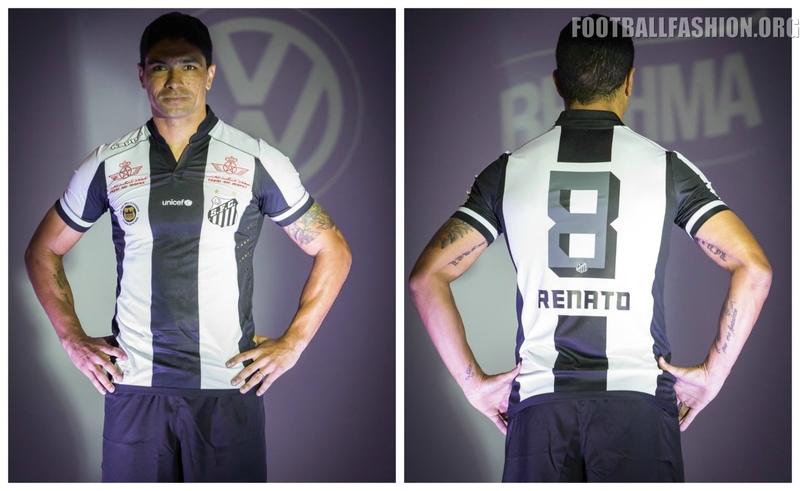 We update Santos jersey font from Campeonato Brasileiro Série A for season 2016 – 2017 . 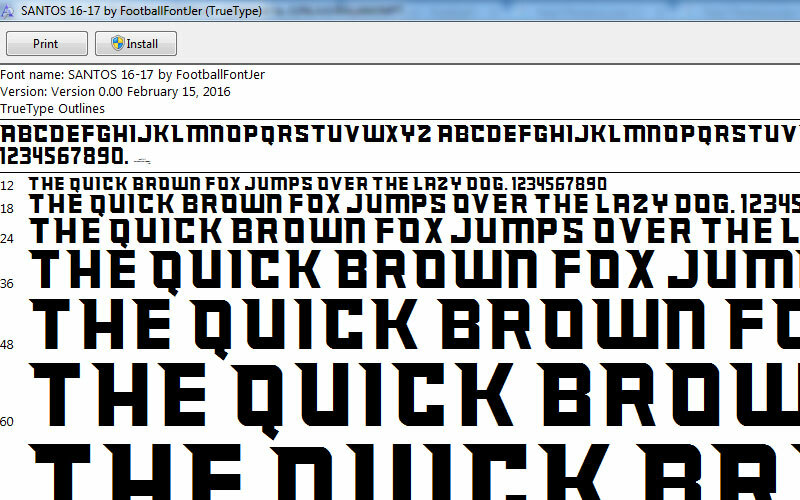 We made 2 version TTF / OTF and Vector. TTF / OTF format doesnt has shadow effect only one colour you can look at preview before you download but you can type dire4ctly from keyboard. Before it you must install like other font. For vector format number will has shadow effect and logo but for open it you must use program like Corel Draw or Adobe Illustrator. Link will send to your registered email directly , sometime link will go to spam folder so please check before you make complain. 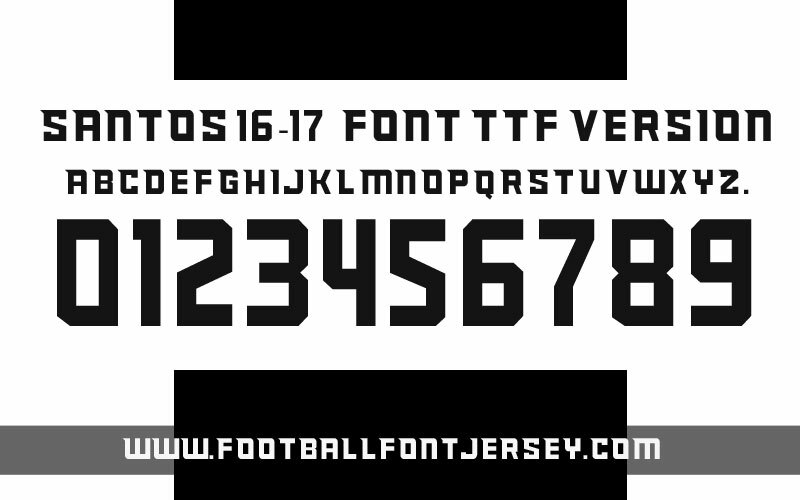 For contact please send email to footballfontjersey@gmail,com , dont send to my paypal account. We are not guarantee when you wrong choose format , so please read carefully before you make purchase.